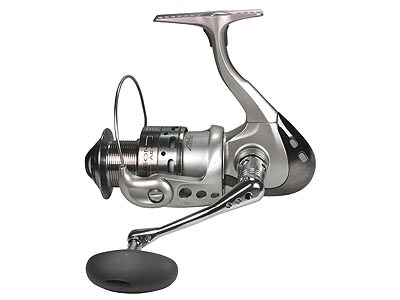 Introduction: Okuma produces more spinning reels in the world than just about anyone else, but Okuma's offerings don't end with just spinning gear, in fact the company is also well known for producing high quality conventional saltwater reels, and a little over a year ago added round baitcasters to the lineup. Okuma turns it up a notch with their 2005 offerings, and here is a sneak peak at some of their new up and coming products. Okuma Inspira: The Inspira has been one of Okuma's top selling reels, and to build upon success of the original the new second generation Inspira sports a number of notable enhancements. The new-fangled Inspira has a cleaner more compact profile, and materials have been upgraded on this reel to include more aluminum in the construction, and new high performance bearings are used throughout. 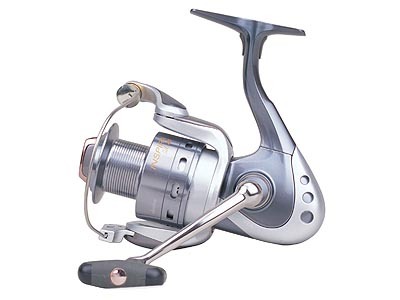 The Inspira is one of the first Okuma reels to make use of the new "HPB" or "High Performance Bearings." These stainless steel double shielded bearings are corrosion resistant and intended to handle even saltwater applications with ease. 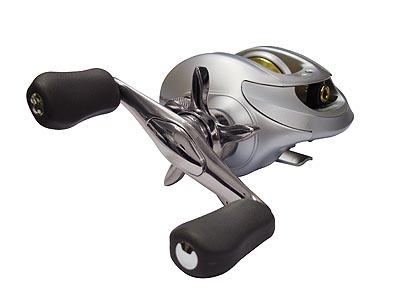 The Inspira utilizes ten of these high performance bearings for a silky yet powerful retrieve. Okuma Aveon: The Aveon is a sharp looking reel that like the new Inspira is also more compact than previous generation Okuma spinning reels. The Aveon features "ALC" construction, also known as "Alumilite" which is capable of handling a great deal of pressure and torque. This in turn allows for precise tolerances between the moving parts for extreme smoothness. Another first is the Okuma patented "EOS," elliptical oscillation system, which uses elliptical shaped gears to provide a more even line lay, enhancing casting. Finally, to round it all out the Aveon comes with a machined aluminum handle. Overall a very attractive package. �ALC�, Alumilite, construction, the patented elliptical oscillation system or �EOS,� and Okuma has also introduced a new dual force drag system known as �DFD.� This system incorporates both surfaces of the spool and starts with the a robust multi disk design and includes a large washer that is attached to the bottom of the spool which equalizes and maximizes drag pressure. The VS seeks to be both extremely refined and durable and makes use of two new styles of bearings, first is a extreme element bearing or �E�BB�, these bearings are double shielded stainless steel and utilize high density ceramic balls for the ultimate in corrosion resistance and durability. In addition you will find up to twelve of Okuma's high performance bearings or �HPB�, these are double shielded and stainless steel and are designed to outlast any traditional style stainless steel bearing on the market. To top it all off the VS comes with Okuma�s unprecedented five year factory warranty to assure long term trouble free use. Okuma Nemesis: What's this? Yes, believe it, Okuma breaks new ground with the introduction of their very first low profile baitcaster! The Nemesis is designed to sit very low in perfect palming position and features an aluminum frame to reduce torque and improve overall strength and stability. The gearing is all machine cut brass, and the reel comes with a powerful 6.2:1 gear ratio capable of hauling in the biggest bass. To ensure smooth operation Okuma sourced seven precision Japanese oiled bearings. Centrifugal braking underneath quick access sideplates make casting trouble-free. The nemesis will come with a choice of standard or wiffle spools. Rumor has it that Okuma will also be releasing a "VS" baitcaster which will be similar in design to the Nemesis but includes a higher bearing count, and utilizes the exciting new HPB bearings for an even more refined operation. Conclusion: Okuma is branching out into new territory with the introduction of new baitcasters, and securing its position as a leading edge reel manufacturers by souping up their already copious offerings with some very stirring new performance products. It looks like Okuma has focused on making their reels more ergonomic, richer in features, and increasingly refined. 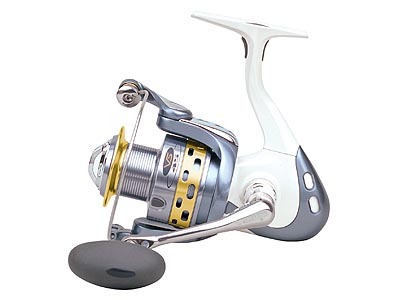 Anglers will eagerly anticipate the entire 2005 lineup, but perhaps most exhilarating of all are the premium "VS" spinning reel and lustrous Nemesis baitcasters. Okuma has been making all the right moves in recent years, and judging from these new offerings it looks like the company is right on track to make some serious advancements yet again.